[Smithfield, NC] Philip Randolph Taylor, formerly of Johnston County, is a Financial Advisor and Branch Manager with Raymond James Financial Services, member FINRA/SIPC. 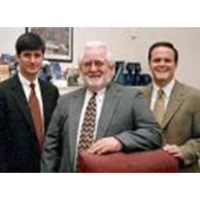 He manages offices in Raleigh, Smithfield, & Wilson, North Carolina. His official retirement date has been set for December 31, 2015. All of Phil’s duties and responsibilities will be assumed by his two longtime business partners, Jason Marshall Taylor of Wilson, NC and Stanley B. Coats II of Smithfield, NC. Together, Jason and Stan have combined years of experience in the financial services industry of over 32 years. Phil Taylor began his career in the financial services industry in September 1984 and joined Raymond James in June1995. His 400+ clients stretch from North Carolina to California. In a recent letter to clients, Phil told them that he was going to continue to leave his own accounts with Raymond James and he wanted to encourage his many clients to do likewise. He also touted his confidence in the skills and professional qualifications of Jason Taylor and Stan Coats who will manage his practice in the coming decades. Phil Taylor is a 1965 graduate of The Virginia Military Institute, a USAF veteran of the war in SouthEast Asia having flown on 93 combat missions, and is an ordained priest in the Free Episcopal Church. He was a member of Rotary International for 25 years and is a Paul Harris Fellow. Phil is also a life member of the DAV, VFW, and American Legion. His hobbies include genealogical research and playing with the John Marshall HS Cadet Alumni Band in Richmond, VA.
Phil has announced that he intends to remain in the area, preach ocassionally at local churches when invited by his many clergy friends , and continue his volunteer ministry to the incarcerated men at Central Prison in Raleigh, NC as well as the condemned on Death Row. Raymond James Financial Services, Inc. is a financial services firm supporting more than 3,400 independent financial advisors nationwide. Since 1974, Raymond James Financial Services Inc., member FINRA/SIPC, has provided a wide range of investment and wealth planning related services through its affiliate, Raymond James & Associates, Inc., member New York Stock Exchange/SIPC. Both broker/dealers are wholly owned subsidiaries of Raymond James Financial, Inc. (NYSE-RJF) a leading diversified financial services company with more than 6,500 financial advisors serving nearly 2.7 million client accounts in more than 2,600 locations throughout the United States, Canada and overseas. Total client assets are approximately $504 billion.